Prince Rainier took a great interest in art and culture which was an inspired move that bode well for the future. One well-timed strategic decision can have a major impact over the years. And so creating opportunities for renowned artists and sculptors to set up workshops in the Port in Monaco is paying dividends in many ways. One of these is that Monte Carlo has become a great centre for auctions, including world-class sculpture. Folon with his workshop here has long been associated with Monaco. And Botero similarly has a presence in the Port. This July the sale of a Botero masterpiece by HVMC (Hotel de Ventes, Monte Carlo) caused a sensation by setting a record price for the sale of a Botero sculpture of its size. 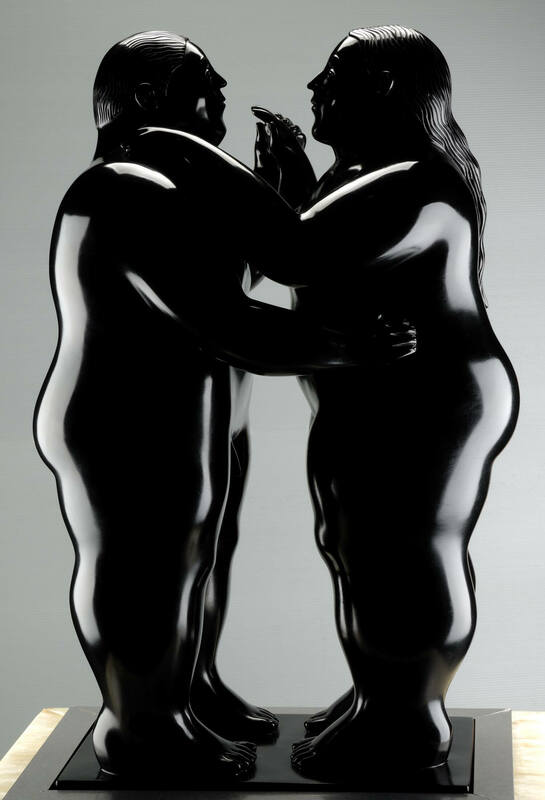 It is a stunningly beautiful piece, 140 centimetres high, of a couple dancing – sculpted in 2012. 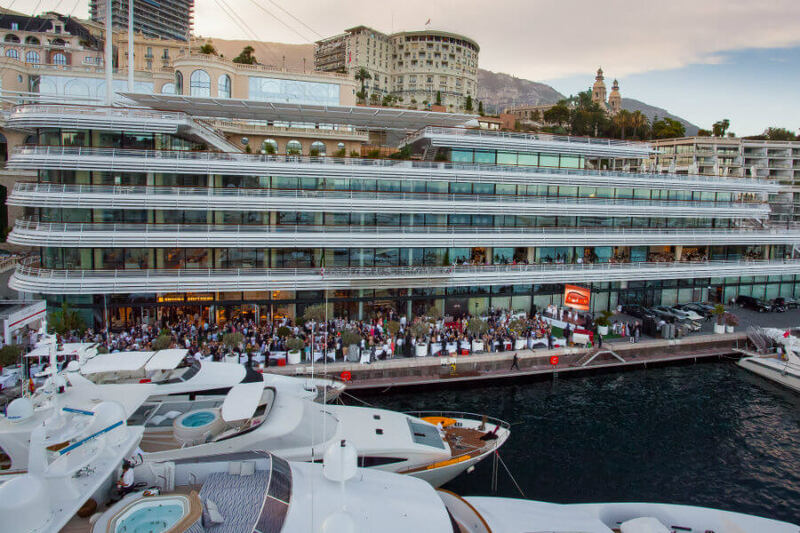 The auction took place at the Yacht Club in Monte Carlo which is itself becoming renowned as the venue where auction records are smashed. The “Dancing Couple” had been estimated to sell for about 750.000 euros. When the auctioneers hammer came down at 1.4 million euros, there was an excited buzz in the hall – that price was virtually double the estimate and another record had just been set in a Monte Carlo auction. A wealthy Belgium industrialist claimed his prize that evening. 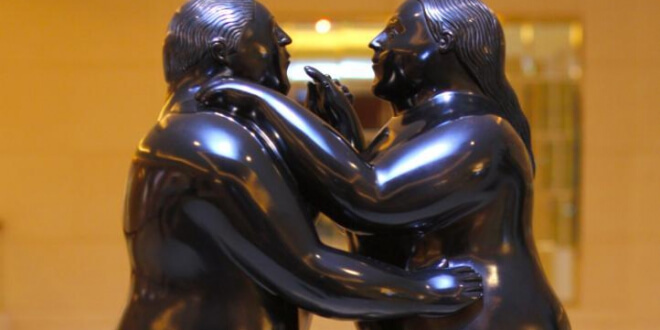 And Belgium itself could breathe a sigh of relief because the Botero sculpture would stay in the country – because it was sold from a private collection there. Monaco’s HVMC has also strategically placed itself in Brussels so it was natural that they were the auctioneer of choice and the auction take place at Monaco Yacht Club. The buyer also bid on another sculpture and won it – it was a magnificent bronze by Folon, “Centaure” sold for 150.000 euros. Because auction prices of rare pieces attract so much interest there is a tendency to over-quote the sale price by including the buyer’s commission which adds about 25% onto the overall cost. HVMC is careful not to encourage this; they differentiate between the value “under the hammer” before the commission is added – so as not to inflate the valuation of the work in the future. Prince Rainier in welcoming great artists and sculptors and supporting them and encouraging them to set up their “ateliers” in the Port has had ripple effects – one of which is that Monaco is a noticeable dominant force in the auction world.